Precision agriculture is a well-known concept for many farmers, and the technology can be found on many farms. Likewise, there are opportunities for collecting data; either through own measurements or using remote services based on satellite images or other collected information. In recent years, the digitalisation of the farms has taken off speed, new products and services have been launched. The benefits are many in taking advantage of the precision cultivation possibilities. Optimized production leads to higher production, better quality, less environmental impact and resource-efficient cultivation. More technology and more possibilities require greater knowledge of the farmer. When discouraging general strategies and getting a bigger database for decision-making, knowledge is needed to evaluate all information and make the right decisions based on this. On this year's theme, Borgeby Fältdagar will highlight new technology; how it is possible to use and what to consider first. A special demonstration area for precision agriculture is located just next to entrance 3. Here, different techniques for precision cultivation will be tested and demonstrated in a demonstration based on variations. In connection with the demonstrationarea there is a theme marquee. Here activity is ongoing all day, specialists and stakeholders have their stands here. In the marquee there will be a smaller ‘speakers corner’ where lectures and seminars about precision agriculture will be presented during the day. In the theme area, companies associated with the therme will also be able to exhibit and present themselves. 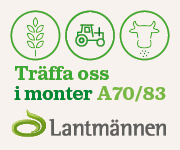 HIR Skåne's advisors will arrange guided tours for small groups where precision agriculture will be the subject, do not miss this opportunity to accompany an expert! Are you really interested in precision agriculture? Sign up for this year's Pre-Event Borgeby, which will be held on June 26, the day before the fair opens. This is an all-day conference focusing on precision cultivation. We will be getting the best from Europe with the foremost in Sweden. The conference offers a mix of practical farmers and experts; all to take your cultivation one step further. Welcome to Borgeby this summer, do not miss our theme precision cultivation!